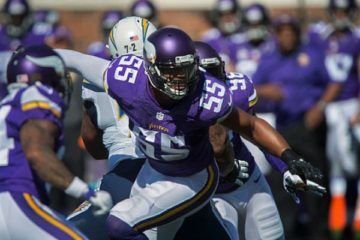 Once again, injury armageddon is upon us and we lost a few more IDP studs over the weekend. Patriots linebacker, Jerod Mayo, suffered a leg injury and is out for the season. Broncos linebacker, Danny Trevathan, once again injured his leg and will be out 3-6 weeks. Falcons Rookie linebacker, Prince Shembo, was slated as probable for their week six game but didn’t play a single snap as he sat out with a knee injury. Bengals linebacker corps took a hit over the weekend, Ray Maualuga suffered a hamstring injury, Vontaze Burfict took a hit to the head and there’s a possibility he has another concussion (3rd already), and lastly Emmanuel Lamur suffered a shoulder injury; so all three starters got injured. Enough with all this negativity though, there where some standout IDPs over the weekend. Let’s take a look at a few of them. If you where patient with these guys, kudos to you as you hung in there, I’ve seen owners bail out on these guys early on and go for the flavor of the week, but at the end of the day these guys will produce. Before I continue, can we just all agree that JJ Watt is arguably the best player in the NFL and what a joy it is to watch him dominate week in week out? George Johnson, Lions: Johnson has put up 4 sacks on the season and just had 1.5 sacks against the Vikings in week 6. He gets the Saints in week 7 and could be a spot play for you if you’re a Gerald McCoy or Michael Johnson owner (bye week), or if you’re battling injuries, give George a look. Jurrell Casey, Titans: If someone has dropped him in your league and he’s still floating around there, don’t hesitate to grab him this waiver period. He finally put together a solid game this season and it’s not a fluke; he should be able to flirt with these type of numbers on a weekly basis. If this is a sign of him putting it together for the season, you’re going to reap the benefits. 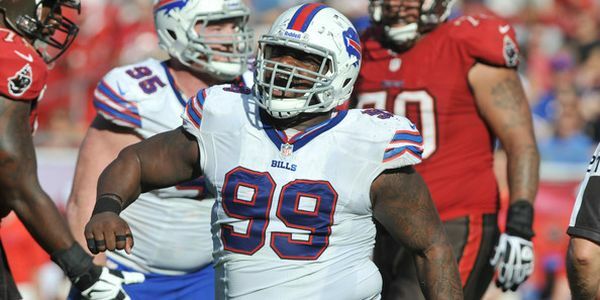 Marcell Dareus, Bills: This guy should be owned in every league; he’s a stout DT1/DL2 option going forward. Not sure if he’s available in your league but if so, make room for Dareus. He gets a prime match-up in week 7 against the Vikings (who just gave up 8 sacks to the Lions). Deontae Skinner, Patriots: With the injury to Jerod Mayo, Skinner will be asked to step-up. He gets a slight uptick in value, but the biggest jump goes to Jamie Collins. Skinner is pretty much a 2-down LB, but he can be productive in those snaps as he put together 6 tackles and 1 sack against the Bills in week 6. Has a pretty good matchup in week 7 against the Jets and could make for a decent LB3 play if you’re desperate. Joplo Bartu, Falcons: Looks like Bartu is back, but for how long is the question. Shembo has a knee injury that has been lingering the last two weeks, which is why Bartu got the nod in week 6. If you’re a Shembo owner or an owner in need of a bye week fill-in, give Bartu another look as Falcons have a solid match-up (IDP-wise) against Baltimore coming up. Nigel Bradham, Bills: I’ve seen Bradham available in a bunch of leagues and he shouldn’t be. If he’s available in your league and you have the roster space, please pick him up as he’ll be a top 25 LB the rest of the way. If you’ve just lost Trevathan or Mayo, definitely make the switch, even with Trevathan back sometime this season. 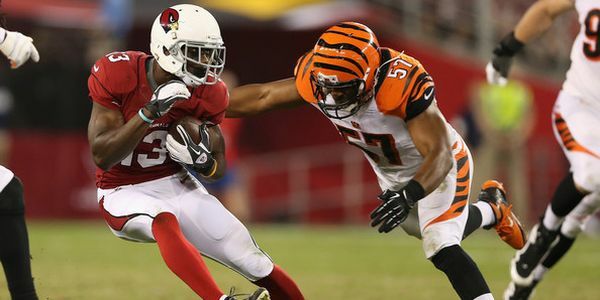 Vincent Rey, Bengals: Rey hasn’t done much with his opportunity…yet. The Bengals are hurting at the LB position and if Maualuga is going to miss time with his hamstring injury, Rey is the next man up and shall take advantage of his opportunity this time. He has gotten snaps and started early on this season but failed to produce; don’t let that discourage you from picking him up. Rey could easily put together a 10 tackle, 2 sack game at any moment. Let’s hope it’s this week and you’re going to start him as your LB3. Alex Okafor, Cardinals: In big play leagues I’d definitely give Okafor a look, especially if you’re looking for a spark on your IDP squad. Okafor put up 2 sacks against the Redskins in week 6 and gets the Raiders in week 7; he could definitely put up numbers. If you have question marks at your LB3 or LB4 spots, Okafor can fill the void for now in big play leagues only. Justin Tuggle, Texans: Tuggle was active last week against the Colts and gave up some plays but seems to always be around the ball. He put together 9 total tackles and 1 interception. If he keeps this u, he’ll be a solid get as a LB3 going forward and gets a bump if anything happens to Cushing. Connor Barwin, Eagles: Barwin’s been on a slight tear lately as all 6 of his sacks on the season has come within the last 3 games. He’s a feast or famine play in standard leagues but gets a solid boost in big play leagues. Unfortunately the Eagles have a bye week in week 7, so you’d have to wait a week before inserting him into your starting lineup. Koa Misi, Dolphins: What a welcoming sign it is for the Dolphins LB corps to get Misi back, though it damages Jelani Jenkins value somewhat. Koa put together 8 tackles in his first game back and shall continue to rack up the tackles for the Dolphins defense. Entering the season he was a solid LB3 option. Going forward and as long as he can remain healthy, he can flirt with LB2 numbers (in tackle heavy formats especially). Brandon Marshall, Broncos: If he’s back on your waiver wire, make a move for him as he’ll once again fill in for Trevathan. He was productive when he started the last five weeks prior to Trevathan’s return. Marshall will remain intact as a solid LB2 option going forward or a top LB3 option for you. Duke Williams, Bills: With Aaron Williams battling a wrist injury, it was Duke’s time to step up, and he did over the weekend against the Patriots. He put up 8 tackles and 1 pass deflection. Monitor Aaron’s injury situation. If he’s going to miss week 7, then Duke becomes a solid stream play against the Vikings. 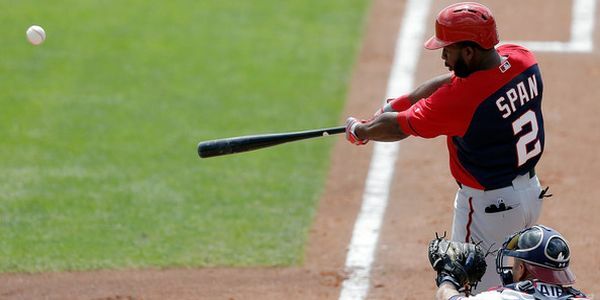 Rashad Johnson, Cardinals: Johnson continues to thrive this season; he’s clearly on pace for a career year. 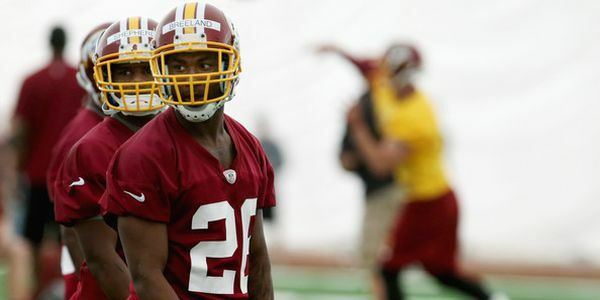 Against the Redskins he put together 8 tackles, 2 interceptions, 2 pass deflections and 1 touchdown; beast mode. He’s available in a lot of leagues still and it’s time to stop ignoring him. He makes a solid stream against the Raiders in week 7 and beyond; ride the hot hand. Bledi Wreh-Wilson, Titans: He had his breakout game in week 6 as he had 11 tackles, 1 interception and 2 pass deflections. The Titans defense is suspect and BWW will continue to see opportunity come his way as he plays opposite Jason McCourty. With the Redskins up next, BWW could easily repeat these numbers as Redskins QB Kirk Cousins, is handing interceptions out like halloween candy. Ha Ha Clinton-Dix, Packers: There’s a slight chance Clinton-Dix is still available in your league and if he is, give him a look. The game is slowing down for him, and he is continuing to make strides each week. He put up 7 tackles, 1 pass deflection against the Dolphins. And although he’s still in a timeshare with Hyde, he’s going to get opportunity. He ould be in store for a big second half of the season. Grab him now. Kemal Ishmael, Falcons: This is another solid tackling option that seems to be available in a lot of leagues. William Moore will return late in the season, so you might as well take advantage of the stats Ishmael will continue to put up. He makes a solid stream or DB2 option going forward. Even though this is probably one of the most uncommon techniques, many people actually decide to bake the leftover espresso they have. roasted and coffee beans have decided and directly put to the pot.